The Beatles 50 Years Ago Today: January 19, 1967. Beatles Radio: The Beatles, Solos, Covers, Birthdays, News The Fab 4 and More! 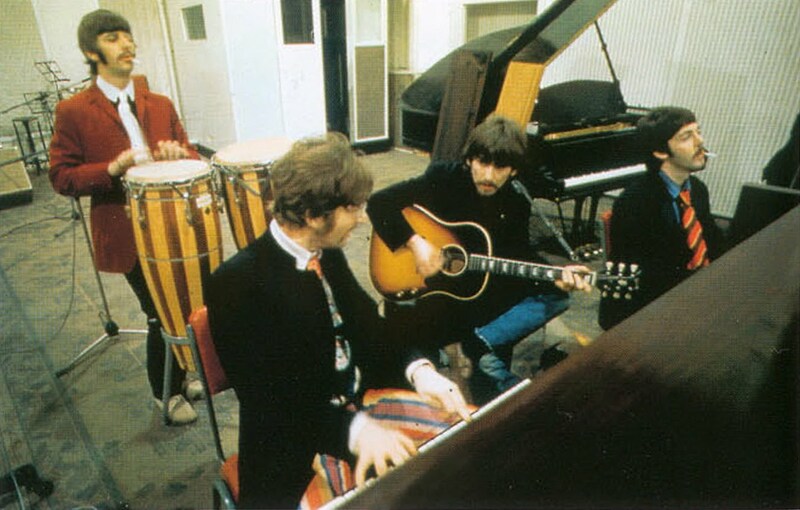 The start of "A Day in the Life", the song which was to become the stunning finale of the Beatles' next album. The first four takes were recorded in this 7:30 pm to 2:30 am session. At this stage the Beatles only knew that something would later be taped for the song's middle section. Precisely what they were uncertain, but to mark out the place where the item would go they had Mal Evans count out the bars, one to 24, his voice plastered with tap echo and backed by a tinkling piano, and to flag the end of this section an alarm clock was sounded.